A trip to Taman Bacaan Pelangi libraries is always a heart-warming one, with occasional unexpected twist and turns. The recent trip was by no means an exception. 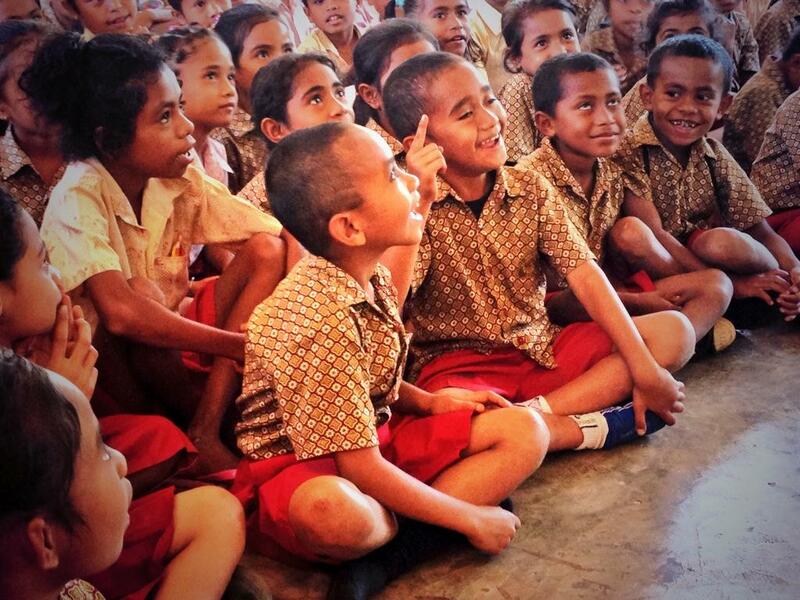 Joining the then-upcoming trip to open a new library in Alor, East Nusa Tenggara, last August, was an instant yes from my heart. Even before I was offered to come. This entry was posted in TB Pelangi, trip and tagged alor, bukuUntukAlor, community library, east indonesia, library, perpustakaan, taman bacaan pelangi, tb pelangi on September 28, 2014 by Eva. 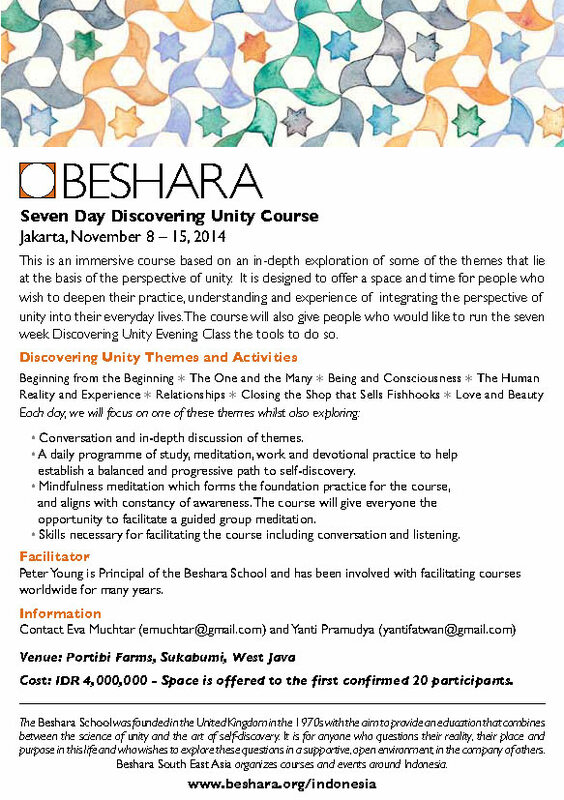 Pleased to announce that Beshara SEA will be holding a seven-day Discovering Unity course at the Portibi Farms, Sukabumi, on November 8-15, 2014. Principal of Beshara School, Peter Young, will be facilitating the course. The course will have daily themes aimed at providing space for each student to start establishing in themselves a unified perspective on reality while remaining in her/his particular life circumstances. Each day one aspect of each theme will be looked at together in greater depth, using a short text as the basis for conversation. Students will also be guided through a series of mindfulness practices together with group activities and conversation on questions and themes that arise. The course is open to all, regardless whether the student has participated in a Beshara course in the past. Willingness to fully participate with the intention to know oneself is essential. We truly hope that you could join this wonderful opportunity. Feel free to share this with friends whom you think would be interested too. To know more about the beautiful space where we will be holding the course (Portibi Farms), please visit: http://portibi.web.geowisata.or.id. This entry was posted in Beshara, occasion, recommendation, study and tagged beshara, course, discovering unity, oneness of being, portico on September 22, 2014 by Eva. I remember this conversation from many moons ago. “Okay, what else?” she immediately said upon hearing this. This entry was posted in friend, occasion and tagged consultant, key, listen, listening, skill, success on September 1, 2014 by Eva.